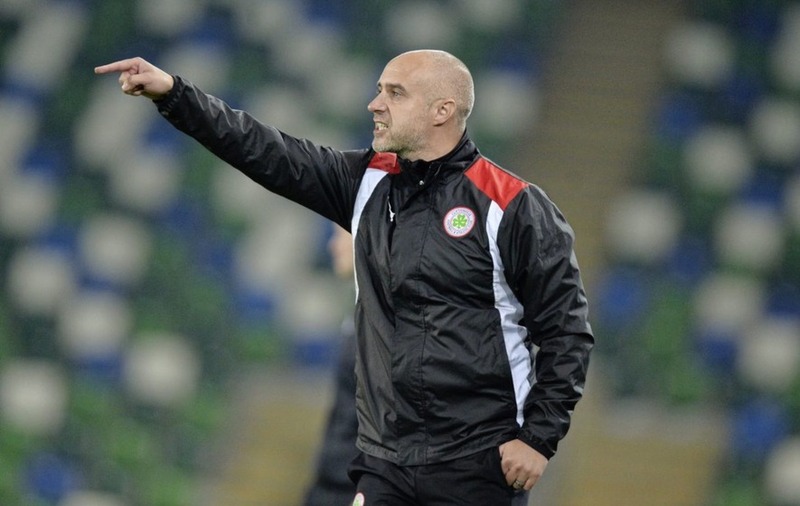 CLIFTONVILLE manager Gerard Lyttle was left scratching his head at some of the decisions made during Saturday’s goalless draw with Coleraine at Solitude. The Reds had defensive pair Paul Finnegan and Jamie McGovern sent-off on Saturday, while Coleraine’s Adam Mullan also received his marching orders in what was otherwise a relatively incident free game. 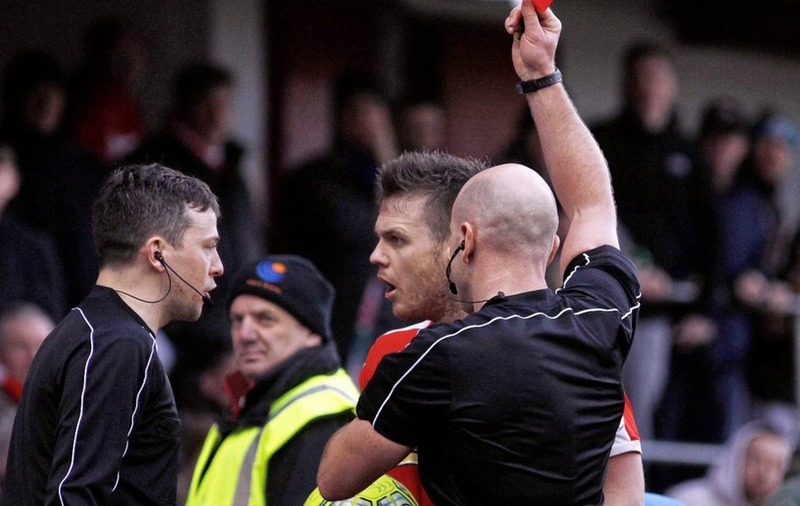 “I think there were some harsh decisions,” said the Cliftonville boss. And Lyttle wasn’t looking at the refereeing decisions completely through Cliftonville coloured glasses as he also queried the dismissal of Coleraine’s Adam Mullan, also on a second yellow. “Fair enough, it’s a hand ball, but it’s clearly not intentional and I don’t think it was deserving of a red card,” he said. But it was the third sending-off of the afternoon that really mystified the Reds boss: “I really don’t know why Jamie McGovern was sent-off. “If he did anything wrong, it was to look round twice when the ball was going out, but I’d have to watch it again to get my head round what the offence was. While Lyttle was frustrated with the lack of a cutting edge to Cliftonville’s performance on Saturday and admitted they were carrying “three or four passengers” on the day, he said a lot was down to the injuries and suspensions they have suffered from in recent weeks. 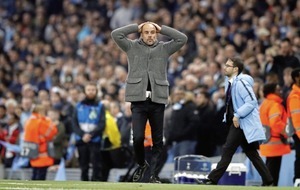 “That was the poorest we’ve played in a while in terms of possession, attacking and fluidity,” he said. “We were looking goals today and what we got was defensive solidity and when we’re looking solidity we get the goals, but that’s just the way it goes. It was important we put in a solid performance and we’ve done that. But with the Reds still four points clear of Coleraine in third place after Saturday’s draw, Lyttle was remaining upbeat. 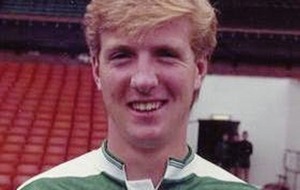 “It’s far from doom and gloom, despite the all negativity that’s around at the minute,” he added. “You have to remember Coleraine are the form team in the league and they’re chasing European football just like us, but we’re doing alright ourselves.